Looking for a safer way to scent your home? Clark Valley Soy Company is a small Minnesota business that produces all-natural, hand-made candles. The candles contain 95 percent soybean wax in place of the conventional paraffin, which, according to the American Lung Association, releases harmful emissions into the air. The clean-burning candles leave your walls, ceilings and furniture free from soot residues. Clark Valley Soy candles ($2 to $18 for votive to 16-ounce sizes) are offered in more than 40 exhilarating scents and colors, including Frankincense & Myrrh and Hot Apple Pie, which makes them pleasing to the nose, eyes and cardiovascular system! These days you can find more environmentally sensitive cleaning products than ever before. It’s no wonder they’re so popular—They work well, are safe to use, and biodegrade into non-toxic byproducts. Many are also produced from plant-derived compounds, as opposed to the petroleum-based solvents of most commercial cleaners and detergents. The Citra-Solv line of products from Shadow Lake is based on a solvent extracted from orange peels. The products are highly concentrated and naturally have a clean, pleasant citrus aroma—just what’s needed to freshen up your house. The line includes laundry and dish-washing detergent ($3.99 for 28-ounce liquid and $5.49 for 50-ounce powder), furniture polish ($4.59 for eight ounces), stain remover ($4.99 for 22 ounces), and several other items. The Veg-News Email List allows the environmentally conscious consumer to stay connected to the latest news about everything from factory farming to the latest tofu recipes. It is culled from wire services, major newspapers and journals by FARM, Animal Concerns and other groups. This valuable source of information for all who promote plant-based eating and farmed animal liberation is read by 400 activists and provides each day a half-dozen important clips to support vegetarianism. The list examines issues pertaining to nutrition, health, medicine, school lunch programs, environment/ecology, vegan/cruelty-free products, factory farming and spiritual/philosophical/religious eating issues. To subscribe, visit www.ivu.org or email listproc@envirolink.org with the following as the body—subscribe veg-news firstname lastname. If you’re looking for an organic way to relax, The Renaissance Herb Shoppe has the cure! This privately owned business was started in 1999 by former university professor and herbalist Dr. Ilya Sandra Perlingieri. Seven-eighths of the materials used in her luxurious herbal treatments come from her own organic garden. Herbs and oils (starting at $2.50) are bottled in 100 percent recycled glass. Starting at $14, silk dream and eye pillows are filled with lavender, velvet “Ease Your Neck” Rolls ($35) contain chamomile and hops, and “Bug-Away” linen sachets are designed to keep woolens moth-free. With organic herbs, keep yourself and Mother Earth stress-free! Wake-up with the refreshing scent of Emelauren Naturals. The company has launched its top 24 natural soaps in unique, colorful soapboxes (4.4-ounce size, $5). Choices from Carrot Care and Tea Tree Care to Forest Meadow and Lavender Field offer a luxurious lather, long-lasting scents and superior moisturizing. Cruelty and synthetic free, these soaps are manufactured using a cold-processed procedure, which retains natural glycerine—a moisturizer—and preserves the beneficial properties of the other natural ingredients—vitamin E and oils of coconut, palm, canola, soy and olive. New products include SUSTAIN moisture care lotion ($8.95) and SOLO, a shea butter lotion bar (two ounces, $5.25). Coffee prices have plummeted in recent years, forcing many farmers to abandon their land (see “Trouble Brewing,” In Brief, this issue). Now an increasing number of consumers are supporting coffee farmers by purchasing fair-trade and organic coffee. The nonprofit TransFair certifies fair-trade coffee, which is purchased directly from farmer cooperatives at a guaranteed “decent” price—enough for a farmer to support his/her family and maintain his/her livelihood. Global Exchange offers a variety of fair-trade and organic certified coffees, from French Roast to Decaf ($5.99 for 12 ounces). Thanksgiving Coffee sells a broad range of fair-trade, organic and shade-grown coffees from Africa, Central America and Indonesia in mild, medium and strong roasts ($8 to $20 for 12 ounces). Roast Your Own sells fair-trade and organic green (unroasted) coffees ($4.95 to $5.95 for 12 ounces) and home roasters ($59 to $119), which allow demanding coffee connoisseurs to fine-tune the roast. 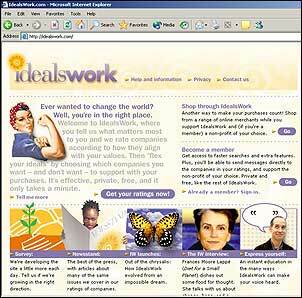 Launched at the end of March, the website Idealswork lets you get up close and personal with the social side of corporate behavior—from women’s issues, minority advancement and labor rights to gay/lesbian hiring. Targeting the purchasing power of socially conscious individuals, Idealswork allows you to make decisions about what you learn—With one-click e-mails, you can tell companies what you think about their policies. Idealswork’s revolutionary new search engine (patent pending) encourages consumers to compare the social and environmental performance of thousands of companies. User friendly, effective and free, Idealswork is designed to make it financially rewarding for companies to improve their social and environmental policies and behaviors. 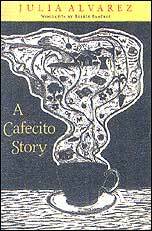 A Cafecito Story (Chelsea Green, $14.95) reads like a children’s book for adults—with a grown-up message. This parable is told from the point of view of a farmer’s son who involves himself in the politics of coffee cultivation during a tropical vacation in the Dominican Republic. He finds fulfillment in learning to grow the beans the traditional, sustainable way, which protects songbird habitat and doesn’t rely on chemicals. Called shade-grown coffee, the protagonist makes it his life’s mission to educate farmers and consumers and support the once-dying way of farming in search of a better cup of java. With simplicity of style, complemented by Belkis Ramirez’s wonderful woodcuts, author Julia Alvarez succeeds in making us care about consumption. For generations, Middle Eastern cuisine has featured yogurt cheese, which is the creamy cheese that forms when the liquid whey drains from yogurt. In the last 30 years, Nikki and David Goldbeck have been helping people discover healthier ways of eating with YoChee, a term they coined for yogurt cheese. Zero fat and low in calories, YoChee is an under-appreciated, high calcium, high protein alternative to cream cheese, sour cream, mayonnaise, butter and margarine. 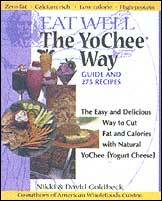 The Goldbeck’s new book, The YoChee Way: Guide and 275 Recipes (Ceres Press, $18.95), serves up savory, easy-to-follow recipes, tips and nutritional incentives to all cooking abilities. Create a culinary fervor without a fatty-fuss with tahini butter, creamy gazpacho, bean tostadas and custardy yocheesecake. In 1893, when “America the Beautiful” author Katherine Lee Bates penned the immortal line, “O beautiful, for spacious skies,” she was probably anticipating Peter Barnes’ book, Who Owns the Sky? Our Common Assets and Future of Capitalism (Island Press, $22.95). Barnes, cofounder of Working Assets, directs his vision upward and finds a way to protect our skies through cash-generating emissions taxes. Barnes believes that we should do this, not out of greed, but out of concern for our commons. He envisions the creation of a “Sky Trust,” which would allocate one share for each person on Earth. With taxes targeted to atmospheric pollution, we would pay dividends to ourselves as the skies’ rightful inheritors. Passionate and insightful, Who Owns the Sky? offers a new cost-benefit analysis of climate change in the 21st century. This Incomparable Land: A Guide to American Nature Writing (Milkweed Editions, $18.95) is an enlightening criticism on the development of nature writing. However, Thomas J. Lyon’s criticism is only half of the book’s story, as the last 134 pages consist of an authoritative bibliography. The book list includes classics from Edward Abbey and Gary Snyder as well as off-the-beaten-path works from Galen Rowell, Marcia Bonta and Edward Hoagland. Every selection is accompanied with short anecdotes that will help you find your own favorite nature writing. This Incomparable Land is a well-rounded syllabus for budding environmentalists and literary experts. What’s wrong with car-dependent suburbia? Houses are in one place, jobs another, and shopping a third. Is there some way communities can combine these functions of life, allowing people to casually walk around and get to know their neighbors? Enough cranky books stop there, but the Natural Resources Defense Council has published an encouraging, accessible collection of case studies in which suburban sprawl has been surpassed. From the Dudley Street Neighborhood Initiative in Boston to Village Green in Los Angeles, Solving Sprawl ($20) includes 35 examples of how developers are starting to listen to the critics. 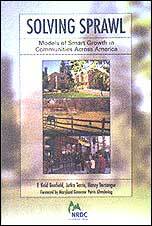 Authors F. Kaid Benfield, Jutka Terris and Nancy Vorsanger cover smart cities, suburbs and conservation, which is where the barriers between wilderness and civilization are breached with new models. This book offers evidence that the old rules are changing in the 21st century.